ecmk ltd was one of the first companies to be granted accreditation status to certify Green Deal Advice Organisations under EN45011. 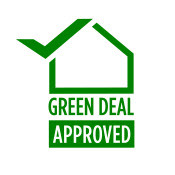 In order to work as a Green Deal Advisor (GDA) you either need to be certified as a Green Deal Advice Organisation or work with, or for, a Green Deal Advice Organisation. The purpose of certification is to ensure that the framework that has been put in place for the Green Deal is adhered to. Whether it is a sole trader or organisation wishing to achieve certification, the process will be the same. A desktop review of the relevant documentation will take place along with both witnessed assessments and a visit to the offices. Throughout the process ecmk will be looking to ensure that the Specification for Organisations providing a Green Deal Advice Service is being met. The full specification and GDAO Application Form can be downloaded from ecmk's Downloads/ The Green Deal section. Visit the BSI shop to purchase Green Deal standards. Green Deal Occupancy Assessment software is now available for use by Green Deal Advisors (GDAs) working with Green Deal Advice Organisations certified by ecmk. This software is fully approved by DECC for the lodgement of Green Deal Advice Reports in England, Wales and Scotland. This key Green Deal functionality has been developed as a seamless, integral part of our industry-leading RdSAP software, Assessor Hub, with the Occupancy Assessment (OA) components visible to qualified Green Deal Advisors. The GDA can either produce and calculate a new EPC on site, or download a suitable EPC from the Central Register, which will then integrate with the Occupancy Assessment features within the same application. As with all ecmk domestic energy software, the use of this application is provided free of charge to our members and is part of a suite of software that will be available to Green Deal Advice Organisations certified by ecmk. This is the first of a comprehensive portfolio of Green Deal applications that will be introduced over the coming months.